A deadly magnitude 5.9 earthquake has killed at least 11 people with more than a hundred injured according to USGS. The magnitude 5.9 quake was one of the strongest to hit the Caribbean nation since a magnitude 7 quake in 2010 killed more than 200,000 people. 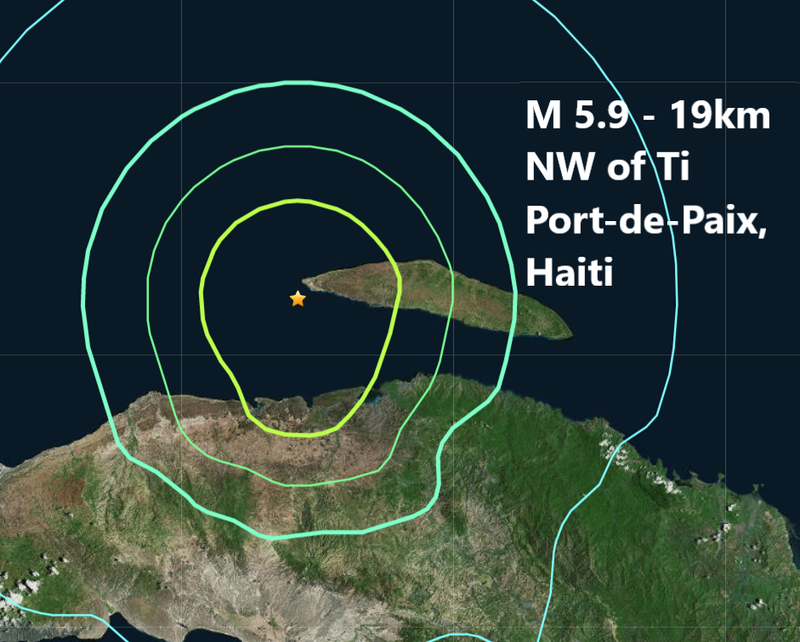 According to Reuters, President Jovenel Moise urged people to remain calm after the civil protection agency reported the latest quake had caused outbreaks of panic in northern towns. The agency said Port-de-Paix, Gros-Morne, the town of Chansolme and the island of Tortuga had suffered some of the worst damage. Some houses were destroyed, it said. The tremor also damaged the facade of a church in the town of Plaisance and a house next door collapsed, the paper said.